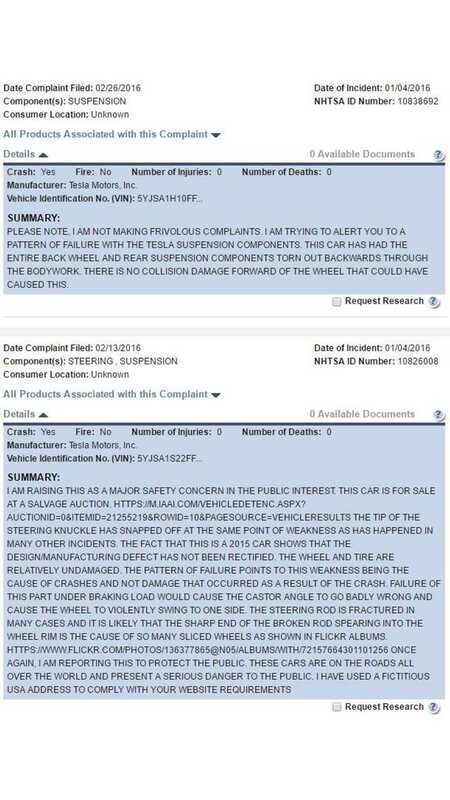 Yesterday, the Internet blew up with erroneous stories claiming that there's a safety defect related to the Tesla Model S' suspension. 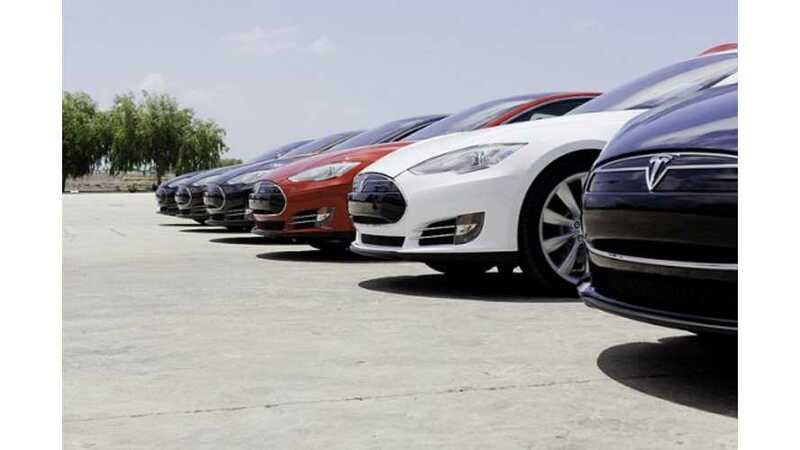 It all started when the Daily Kanban published a scathing anti-Tesla article (imagine that) that recounts the story of ONE Model S owner who suffered a suspension failure due to "very abnormal rust" on the ball joint. That owner recounts his story here. Update: Details added below as Tesla made an accusation on the use of the Model S in question that was not accurate, and has also reportedly revised its NDA agreements to clarify that it does not preclude speaking to the NHTSA about any potential safety issues. Regardless of the fact that just one Model S was involved, the media took this as a chance to pounce on Tesla. Some outlets even went so far as to inaccurately report that the NHTSA had opened a formal investigation into the matter. That's simply not the case. However, the NHTSA is reviewing this one case (as it does with most every legitimate case), but there's no open investigation, nor is there a "preliminary evaluation" even available from the NHTSA at this point in time. Adding more drama to the story is the fact that Tesla is/and has been aware of the potential issue. The automaker issued a Technical Service Bulletin on the matter back in March 2015. The TSB can be found in its entirety here. "When our customers tell us something went wrong with their car, we often cover it even if we find that the problem was not caused by the car and that we therefore have no obligations under the warranty. In these situations, we discount or conduct the repair for free, because we believe in putting our customers’ happiness ahead of our own bottom line. When this happens, we sometimes ask our customers to sign a “Goodwill Agreement.” The basic point is to ensure that Tesla doesn’t do a good deed, only to have that used against us in court for further gain. These situations are very rare, but have sometimes occurred in the past." Update (June 10, 2016): Despite earlier statements (above) suggesting the "Goodwill Agreement" was A-OK, Tesla is now revising its nondisclosure agreements (via WSJ) and working with the NHTSA to address public concerns that its NDA could be interpreted to indeed discourage owners from reporting any potential safety problems. "The Palo Alto, Calif., electric car maker revised the agreements to make clear the contracts don’t prohibit customers from reporting suspected safety problems to the U.S. National Highway Traffic Safety Administration, this person (familiar with the matter) said." The owner in this specific case (Pete Cordaro) says that he never took the original agreement to mean he could not speak to the NHTA, saying. "I never thought this prevented me from talking to anyone"
Finally, it is worth noting that the blogger who fabricated this issue, which then caused negative and incorrect news to be written about Tesla by reputable institutions, is Edward Niedermayer. This is the same gentle soul who previously wrote a blog titled “Tesla Death Watch,” which starting on May 19, 2008 was counting the days until Tesla’s death. It has now been 2,944 days. We just checked our pulse and, much to his chagrin, appear to be alive. It is probably wise to take Mr. Niedermayer’s words with at least a small grain of salt. Update (June 10th, 2016): After revising its NDA agreement as a result of this investigation, Tesla's PR department (assumedly acting on behalf of its CEO) had to retract some of the allegation lobbied against the Model S owner (Pete Cordaro) in its blog post...specifically where he lived and his daily usage of the EV. Mr. Musk said Tesla erred in its claim about the dirt road. Apparently Mr. Cordaro was out on a Sunday drive, creeping down a dirt road hunting mushrooms in Pennsylvinia woods when he hit a pothole and the suspension failed. The Model S owner says that “at most” he drove on a dirt road 10 times over the 73,000 miles his EV has travelled. All things considered, Tesla has a reason to be upset at the turn of events on the actual issue at hand with the reported suspension defect; but they also did themselves no favors in the way they reacted to the situation, and again demonstrated a lack of maturity on the part of management and the PR department. In the end, the company's credibility took a greater hit than if they said nothing.